We’re changing it up a little this week to showcase the wide variety of documents in the Nebraska Memories archive. While photographs are visually captivating, Nebraska Memories contains so much more than just photos. 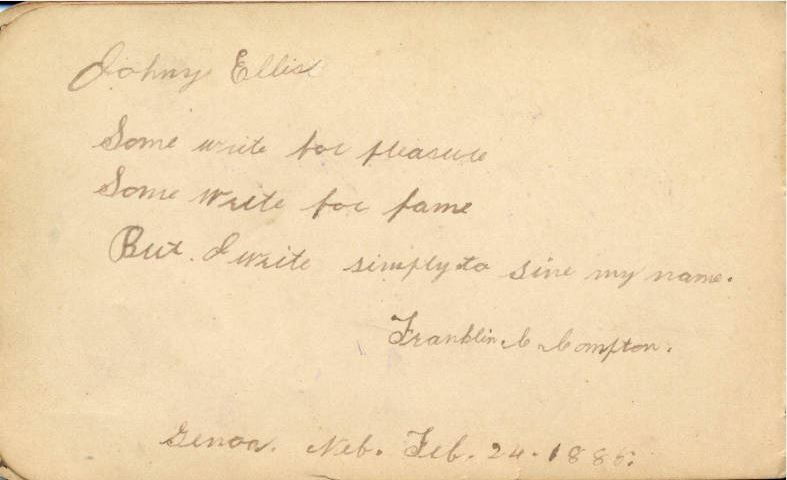 Today we have just such an example with a Mr. John Ellis’s autograph album. 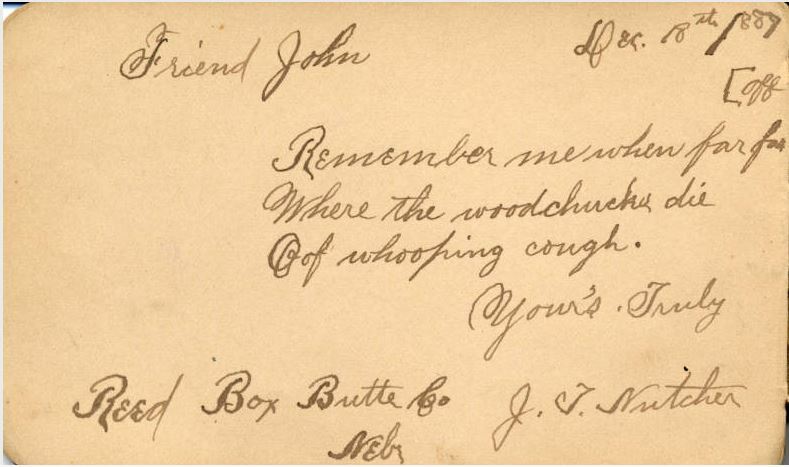 Containing inscriptions from the 1880’s, take a little time to read through them. We’ve only included a few in this post, but another fifteen are available for your perusal on the Nebraska Memories website. Check them out, there are some really comical and interesting inscriptions! 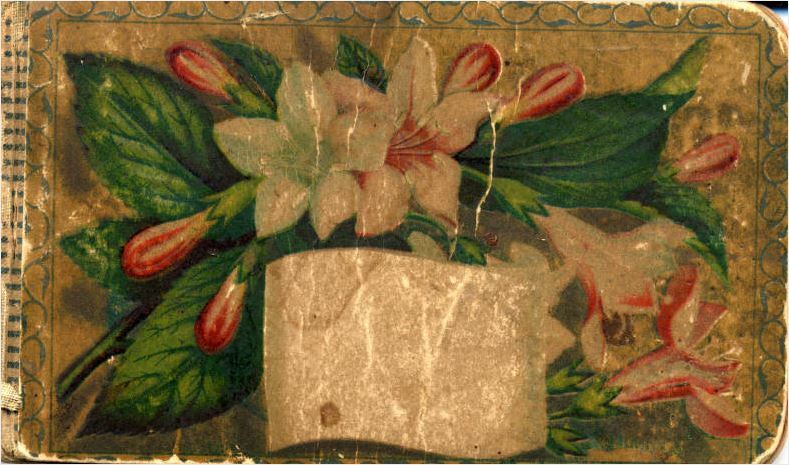 This 5″ x 3″ autograph album has a cover with a floral design on it. 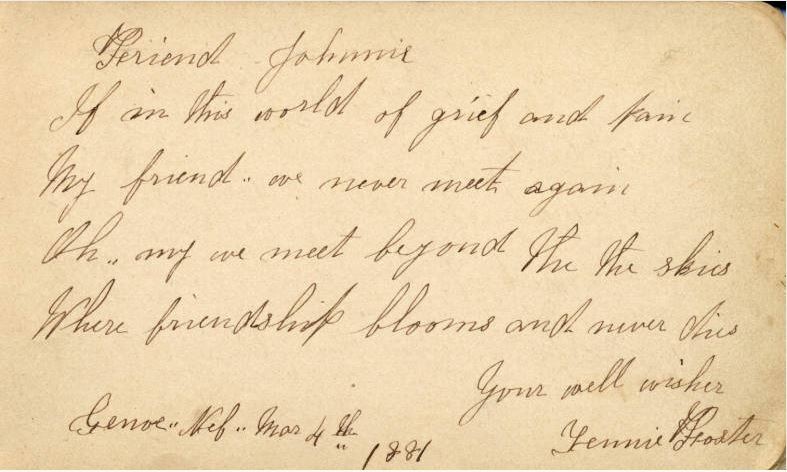 The pages of the album are filled with inscriptions addressed to “John” or “Johnnie.” Some of the inscriptions have dates from years in the 1880s. But I write simply to sine my name. #ThrowbackThursday takes a look at what’s inside the Nebraska State Historical Society collection today. 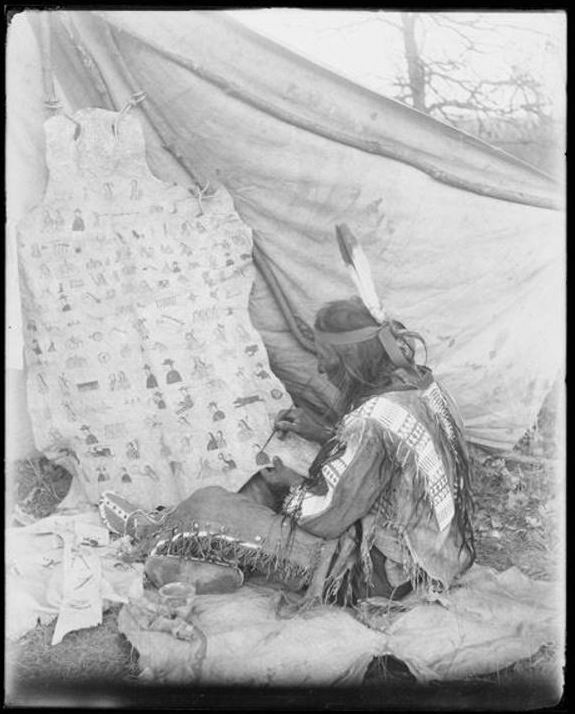 Sam Kills Two, also known as Beads, works on his Winter Count, a historical calendar with painted pictographs on a stretched animal skin outside a tipi. The death of Turning Bear, killed by a passenger train in Valentine, Nebraska, in 1912, is shown in the second row just above Kill Two’s left foot by the picture of a locomotive. Kills Two is dressed in native clothing and wears two feathers in his hair. The photograph was taken at the Rosebud Reservation. Kills Two, a Brule Sioux medicine man, provided a written interpretation of the Winter Count which is held by the Sioux Indian Museum in Rapid City, South Dakota. The Rosebud Sioux Indian Reservation is located nine miles north of Valentine, Nebraska, in South Dakota. 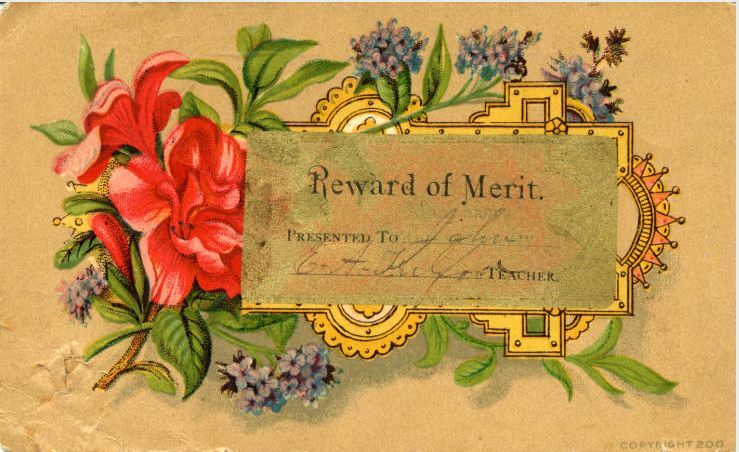 This photo is a part of the Nebraska State Historical Society digitized content from the John Nelson collection. John Nelson was born in Harestad, Sweden, in 1864. He came to Nebraska with his parents at the age of seventeen. His photographs tell the story of small town life in Nebraska during the first decades of the twentieth century. His subjects included local businesses, community activities, and early automobiles.